You are currently browsing the tag archive for the ‘William Sharlin’ tag. 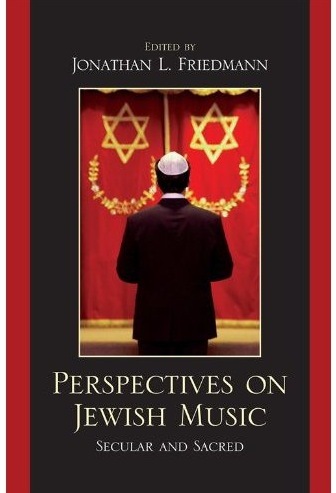 Perspectives on Jewish Music, a collection of five essays addressing music in contemporary Jewish culture and personal Jewish history, is edited by Jonathan L. Friedmann, a cantor, string player, and author. In his introduction, Friedmann describes music as a tool of cultural preservation and emphasizes the role of music performance in defining Jewish personal and group identities throughout the Diaspora. Because of the many different contexts and conditions of Jewish life in the twentieth century, music has played a variety of roles and reflects a broad diversity of influences. This multiplicity of Jewish musical experiences is reflected in the disparate subjects of the book’s chapters.